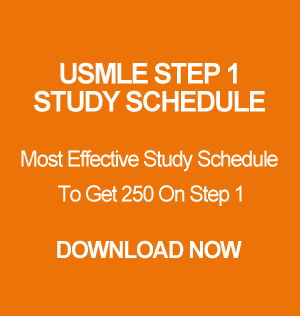 Many of you emailed me asking if you should watch DIT and if it is helpful for USMLE Step 1. I will say DIT will be helpful depending on the person. There are people who can’t stand videos without any visualization. What I mean is that unless someone draws and explain things on the board people don’t enjoy the video. But then again there are people who can just listen to the videos and learn a lot. DIT videos have a very high rating. I personally watched it once and did not like it much. I think only two of their teachers were good, rest of them were just reading it off First Aid. I am more of a Pathoma fan when it comes to video. So what are the good and bad things about the Doctor’s in Training videos? Here is where I think DIT helps a lot to anyone. First of all, you should watch DIT based on how they organized it. Do not watch it randomly or any other ways. Now, DIT is known for helping students to memorize First Aid by quizzing them multiple ways. You will also learn mnemonics and tricks to answer the questions. And lastly, DIT helps you by reading First Aid for you instead of you reading it. First of all, I am not a fan of videos that just talks without any proper visualizations. I don’t like how they read off First Aid because sometimes you lose focus and miss out stuff. My point is when I am reading First Aid I know exactly what I am reading and make sure that I don’t miss out anythings. Sometimes DIT skip things from First Aid and it kind of irritated me. I also didn’t like how DIT consumed so many days, I mean when I read First Aid I can increase my reading speed, but with DIT I am stuck. Yes you can speed up the videos but still it felt weird. Lastly, I didn’t like most of their professors. I think only Brian and Richard were amazing. Other than them, rest of their teachers just read off First Aid. So, basically it’s really up to you if you want to watch Doctors in Training videos. I personally think you should read First Aid by yourself as many times as possible and memorize the the important concepts from First Aid. And if you want to watch videos go for Pathoma, Kaplan (not all of them) or Doctor Najeeb. Good luck everyone!